It argues that even at modest levels, a basic income would be transformative in reducing poverty and inequality, and would provide, for the first time, a guaranteed income floor below which no individual would fall. The proposals would also tackle the growing economic and social insecurity of the UK’s current system, by giving households certainty about their income. This in turn would provide citizens with a greater degree of choice over their work decisions and ultimately lead to increased personal empowerment. 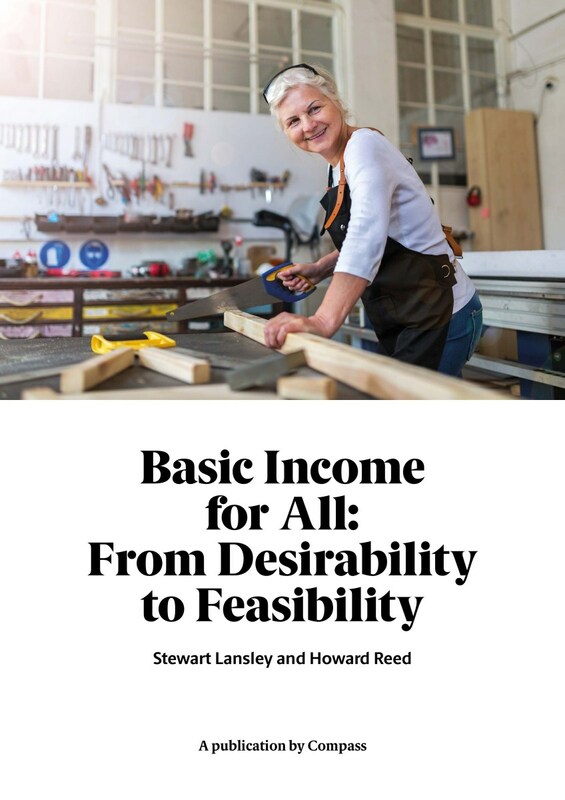 The report then seeks to counter the notion that among basic income advocates, there is ‘far more enthusiasm’ for discussing its benefits than ‘suggesting how it could work in practice’ by setting out various ways in which it could work. It puts forward two models: model one is a fast track route, under which the government would pay a weekly basic income to adults (up to 64) of £60, to adults over 65 of £175, and to children of £40. Child benefit and pensions would be abolished, but other parts of the social security system would remain. This could be phased in gradually or implemented ‘in the lifetime of a single parliament’. The net cost would be £28 billion, returning the UK to the levels of spending on social security of 2010, but with ‘a much more progressive system in place’. Model two is a slow track route, which would see the creation of a citizens’ wealth fund. Created through a mix of funding sources, it would take time to build, but in the end would provide a permanent and growing source of finances, and could be used to gradually improve the basic income rates over time. The report claims that both models help to correct the gender imbalance of the current system, and are progressive, giving the greatest help to the poorest. Model one provides a strong base on which to build, and model two gives the opportunity to grow and sustain the system.